Parents, you can’t be trusted. Some of you want to homeschool your children, some of you make lunch for them instead of eating the ones prepared by union cafeteria workers at the local government school, and some of you even let your children drink with straws. We all know that children must be kept in baby seats until age eight while traveling in cars because parents can’t be trusted to make them use a seat belt or drive safely because driver safety classes are optional now. We all know that children are fat because parents are afraid to let their children play outside because they don’t really know their neighbors and many of them are registered on Megan’s List (or should be); plus, due to lawyers, schools have fences around them to keep children out after hours so they can’t get hurt on the playground. Now the nanny state has put yet another bill on Governor Brown’s desk for approval; this is a bill that requires restaurants to offer only two drink choices to children. A new state bill would give kids two options with their meals at restaurants—water or milk. So, suddenly restaurant workers are becoming the most regulated segment of the economy and most are making minimum wage for the privilege of facing this harassment. 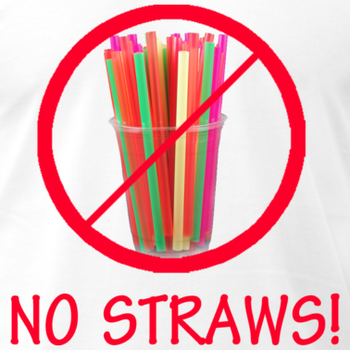 Think about it, give a person a straw and a waitress can be fined $1,000 and face six months in jail. 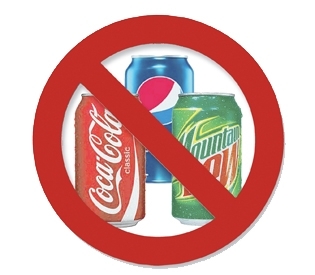 Now nanny state idiots are on the verge of passing another law that says she could be in trouble if she offers the wrong beverage to a child. I wonder what the fine will be for that shortcoming. If it’s not in the bill now, it certainly will be added at some point in the future. Remember, you are only parents because you engaged in a biological act that had unintended consequences and you chose not to abort the product of conception. Until government can agree on a curriculum to license parents, such patchwork responses to childrearing are necessary in an aspiring totalitarian society.